Domestic violence and abuse is often very hidden, and people frequently ask for more evidence on the needs of women and children – and the needs of men. 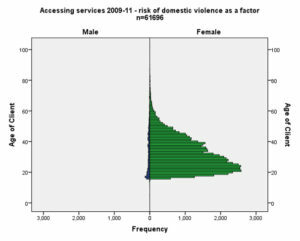 Men do experience domestic abuse, but we have evidence of very different rates of abuse for men and women – and that men have different needs. Men are equally likely as women to self-refer to services – to seek help themselves when they experience domestic abuse – but more likely than women to be referred by statutory agencies such as Housing and Criminal Justice. In contrast, women are more likely to be referred by voluntary agencies. 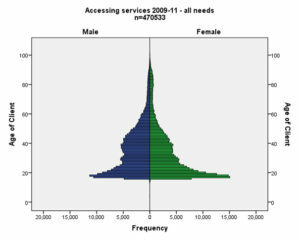 Needs are also different, with men less likely to have children with them, and more likely to have stayed put or stayed local when they seek help. 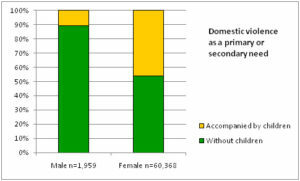 This kind of evidence can help people make the best decisions about support services – that the vast majority of domestic violence services should be provided for women – often accompanied by children – and that men’s needs are different as they are more likely to be staying put and staying local when they seek support. Previous Previous post: What about housing associations?